2019 is quickly shaping up to be the year of the smart home.With new wireless tech in security and house maintenance coming out every day it seems, more consumers are finding smart home technology within their budgets. But what is a smart home and why would you ever want to upgrade to one? The answer is that a “smart” home can mean many things, some of which are more or less useful. With the litany of smart assistants, security systems, and appliances hitting the market, it can be confusing as to what actually constitutes a smart home. 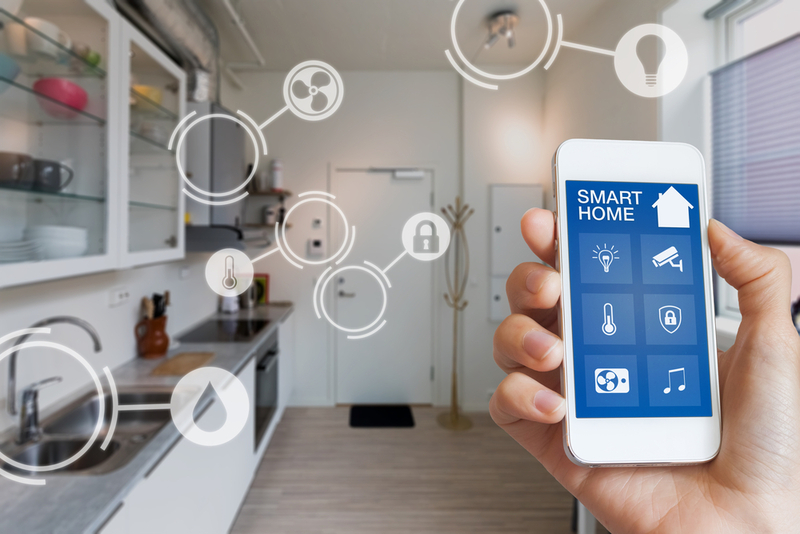 In this article, we’ll discuss what a smart home is, where the technology comes from, how it impacts certain household service industries,and how several companies are leveraging the demand for a smart home to develop specific home services. Once you know more about smart home technology, you can make an educated decision about whether it might be right for you. To understand how smart homes operate, it’s important to know about the Internet of things, or IoT for short. The driving idea behind IoT technology is to take items that aren’t usually connected to a network and then connecting them through some sort of sensor or data-collecting device. Once connected to a digital network (or the Internet at large) the “thing” can send data back to a central location for processing and intelligence. What does that mean for consumers? It means that even everyday devices can use the Internet to communicate, send data, and offer services. One of the earliest popular examples of this kind of tech in the consumer market was the Amazon Dash button. This small device was just a button on a tool connected to the Internet. Each dash button would buy a specific product based on the product it was linked to, and that product would be purchased and shipped once the button was pressed. So, in theory, you could place a Tide dash button near your washer, press the button when you were low on detergent, and it would automate Amazon ordering and ship the product to your home. This relatively simple example belies the ways in which IoT is changing how we shop, work, and communicate. IoT devices in transportation and heavy industry are fundamentally altering how companies build and ship, and such technology is making rapid inroads in industries like healthcare, security, and home maintenance. Smart homes come from IoT technologies in that they essentially import the IoT approach to make traditional home services more responsive, reflexive, and data-driven. Let's just use a simple appliance example to make the connection. A common problem that many people have is leaving appliances turned on or plugged in after they leave the house. Not only does this increase the risk of damage in the home due to fire or electricity, but it also provides another excuse to introduce stress in our lives — the “did I leave the curling iron plugged in?” situation. Not too long ago, special outlet adapters hit the market that would allow users to set a time on their outlet during use. The idea was that once the time hit zero, then the adapter would cut power to whatever was plugged in. So, if a consumer remembered to set the time, they could rest assured that whatever was plugged in would eventually be turned off. Now, take that to the next level. New outlet adapters come with the ability to connect to your home network and the Internet. This means that instead of setting a time, you can literally connect to these devices through a smartphone app to turn them off. Expanding that to other critical home services like kitchen appliances, security, and other forms of home management makes a home “smart.”It means that the homeowner can connect directly to a home system to manage it,or they can set conditions through which those systems manage themselves. They can also do with amazing levels of control over the state of their house (including things like temperature, energy usage, and more). Smart home systems are developing rapidly in a few key areas. 1. Smart kitchen appliances are changing the way we prepare food. New stoves, microwaves, and refrigerators allow users to control oven and stove top ranges, including micromanaging temperature and cooking times. This allows for more complex cooking routines with less hands-on managing from the cook. It also means that users can turn portions of their oven off and on remotely and check the status of items on the stove to make sure they didn’t leave something turned on while rushing out the door. 2. 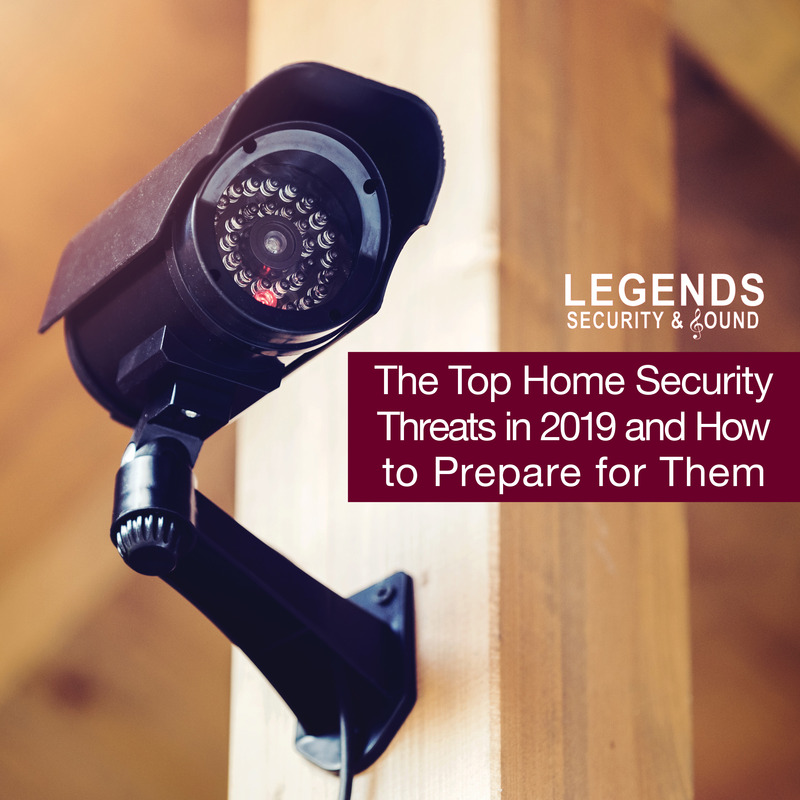 New smart security systems are revolutionizing home security by modernizing how homeowners protect their homes from criminals.One way that modern burglars circumvent security systems is by noticing patterns and avoiding them. 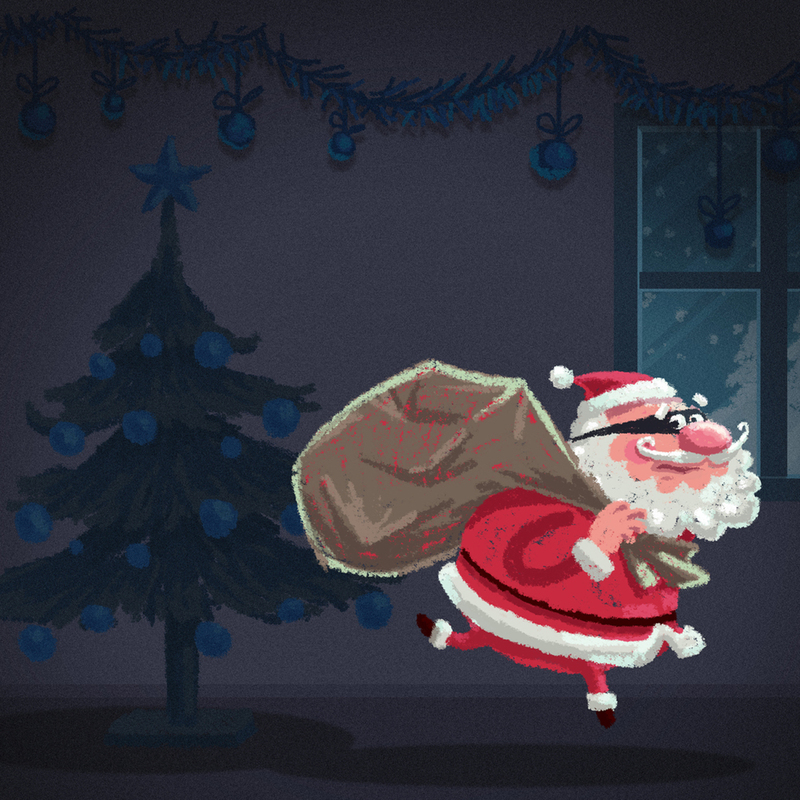 A smart security system can tie into a phone app that allows the user to view streaming footage from video cameras, check the status of door sensors and alarms, or control when an alarm is activated. Even better, smart security systems can automate routines like turning lights on and off, raising and lowering blinds, or playing music. Finally, these systems can use geo-fencing tech to automatically lock doors and arm security systems when the homeowner leaves a specific radius around the house. 3. Smart fire prevention systems tie smoke detectors, fire alarms, and radon detectors into a main security system that allows homeowners to get immediate alerts regarding potential fire threats, and then to respond accordingly. 4. New smart thermostats and HVAC systems are revolutionizing how homes can “zone” their climate control. These smart systems can detect changes in temperature to adjust heating and cooling while minimizing heat or AC to uninhabited portions of a house. This saves money and energy for homeowners. 5. General consumer usage is increasingly turning to personal assistants that can play music, centralize home control, and send and receive data from the Internet in real time. The fifth item in the above list is where many consumers are seeing huge leaps in smart technology and where many companies are making their name in the smart home market. The Amazon Echo (complete with the “Alexa” personal assistant) is perhaps the most well-known of these home technologies. If you’re familiar with “Siri” on iPhones and iPads, then you’ll know how Alexa works. This device can take voice commands and translates them into action. Whether it means playing a song, making phone calls, pulling information from the Internet, or linking up to partnered home systems, the Echo can usually provide some sort of support. However, more fully integrated smart home solutions are coming out from other companies. Nest created what became a popular security service — a security doorbell with an attached network camera that takes a picture of your porch when someone approaches the door or presses the button. Nest, however, has built upon this success to produce smart thermostats, wireless cameras, smoke alarms, and door locks to offer consumers a comprehensive smart control system. There are several companies creeping into the smart home market, specifically as it relates to certain services (for example, security companies for security systems). Cross-device integration and support are becoming the norm. In either case, advances in this technology lead to fully-functional smart homes that allow homeowners to manage the state of their home through a variety of linked devices that are connected through a central interface, whether that interface is on a computer or a smartphone. Is a Smart Home for You? The million-dollar question is, “Do I need a smart home”? The answer depends on what you would need it for. First of all, smart homes can be fun. Using smart assistants to manage your home, play music, and add some ease to your life is great. If you are looking for a way to engage in cool new technology, then getting a smart assistant can be a fun investment. Beyond that, there is the question of safety. Smart technology makes homes safer. When you can turn appliances on and off, set timers to shut off outlets, or immediately connect to a security or fire alarm system, then you can also assume much more control over the integrity and safety of your home and everything in it. There are also several special considerations that factor into adopting smart home technology. Let’s say that you travel extensively. If so, then you are a prime candidate to upgrade to a smart security system. No matter where you are,you could access your home security, change routines, set light times, and more, all from a remote location. Or, if you have anyone in your home that has special needs(like someone that needs some sort of observation or on-hand communication),then networked cameras and speakers can provide a great way to monitor a given situation in your home while being able to shop, go to work, or travel. Smart home systems can also save money in the long run. We won’t beat around the bush here. Smart homes cost a little bit of money upfront (depending on the hardware you need). But smart home utility management can save you a ton of money over the years by managing your utilities in a way that you can’t. In the end, whether you upgrade some aspect of your home to smart technology depends on your needs and wants. The truth is that smart security systems, smart fire prevention systems, and smart utilities management are all useful for everyone. They make our homes safer and gives us much more peace of mind. But whether that safety or peace of mind is worth the investment is really up to you. Regardless of whether you integrate smart tech into your home, and regardless of whether you use smart home apps on your handheld device, the present state of smart technology in 2019 suggests that this is more than a trend. If you have any specific security needs, if you want to save money on utilities, or if you just want a fun and convenient device that handles small things for you, smart homes are quickly providing solutions that fit your needs. And, with devices becoming more ubiquitous, we’re also seeing a drop in price when it comes to smart tech. Wireless cameras and personal assistants are already much more common and affordable than they were even a couple of years ago. And with everyone having smartphones attached to their hands, it’s natural that all these smart technologies will eventually become a natural extension of our daily lives. If you are even considering an upgrade, then call your local security provider or IT shop to find out if they offer consultations or installations. Most of the time, these professionals can come to your home and make suggestions as to how to effectively install smart tech throughout your home. And trust us when we say that when it comes to home security and safety,you want a professional on board to help. Sign up for our Security Insider list and have our best tips delivered directly to your inbox every other week!